1. 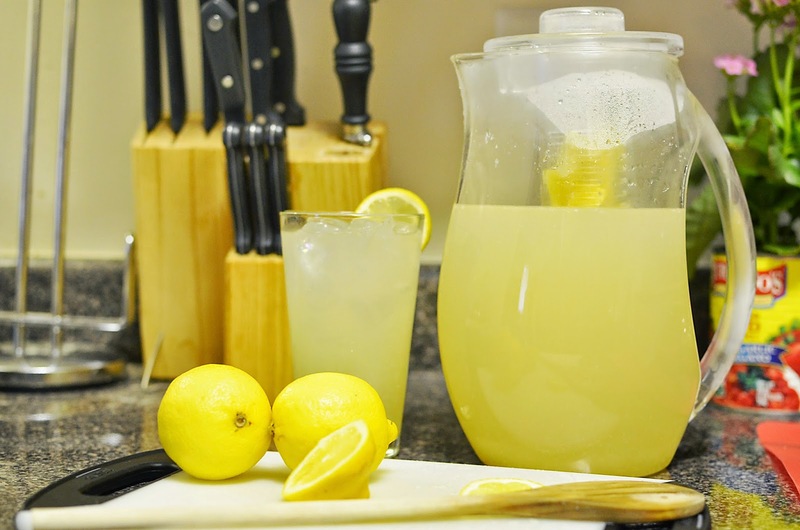 Why do you call lemon-lime pop lemonade? Here lemonade is Sprite, 7-Up, etc. A lemon-lime carbonated beverage is not lemonade. Lemonade should be a lemon flavoured, non-carbonated drink sweetened with sugar. I've now been in Australia for 4 years and still occasionally get disappointed when I order a lemonade and get a Sprite. 2. What's with the baby-shaped candies? Because naturally when I eat sweets, I wanted to feel cannibalistic. The Starburst Babies aren't as weird to me as Chicos. 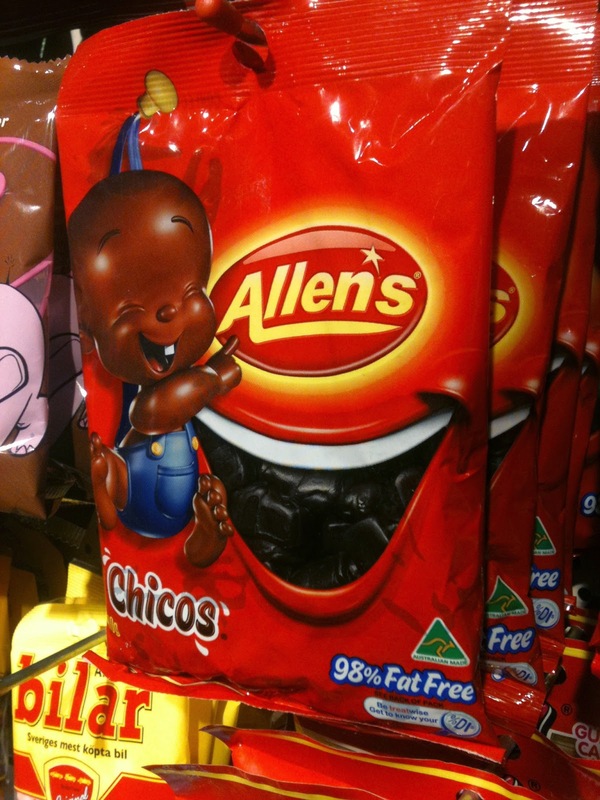 Chocolate flavoured, baby-shaped candies...still struggling with this one. And am I the only one who finds this could border on mildly racist? Weirds me out every time I see them. 3. 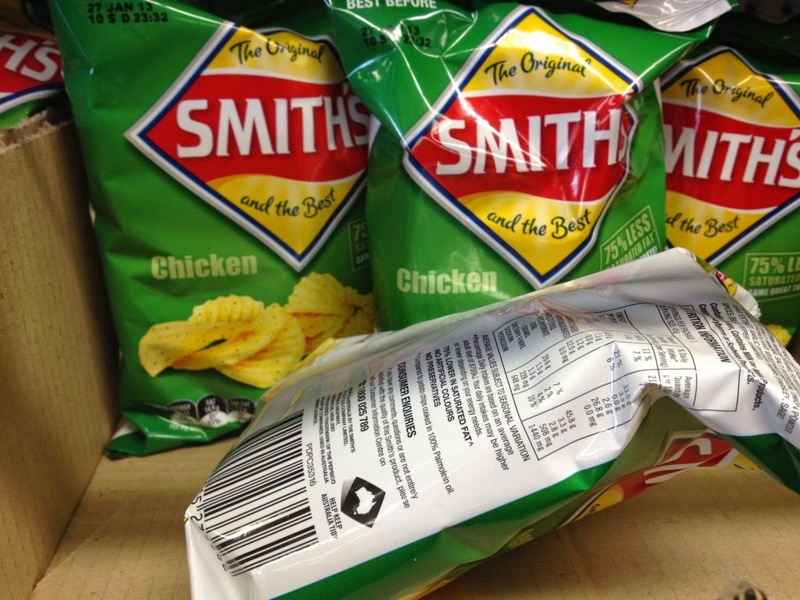 Why do you have chicken flavoured chips? Again, why is this a thing? It seems like a strang flavour for a chip (not that America is free of oddly flavoured chips). I've tried them with an open mind and just haven't found one I enjoy. Some brands market them in a yellow bag (which in the US is the colour bag for regular flavoured chips). This is the only time I get irritated. I've accidentally bought chicken flavoured chips only because I wasn't paying attention. Major props on your Salt and Vinegar chips though! I much prefer the balsamic vinegar to whatever the heck Americans use on their salt and vinegar chips. Only really gets confusing when the bag is yellow. This is soo American to me. I'm also mildly shocked that America didn't do this first. I'm curious, outside of drunk uni students, does anyone actually have Macca's delivered? I mean $30 minimum seems like a lot of Macca's. *Update* Macca's delivery is now on Uber Eats and Deliveroo. You no longer have to fork out $30 on Macca's. Just whatever meal you'd like and a small portion of your dignity. Lovin' it at 3 am! 5. 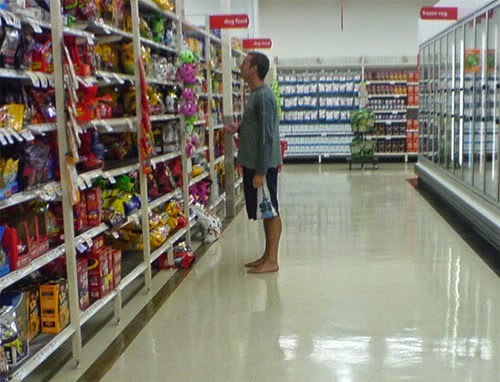 How are bare feet allowed in stores? I lived in a beach town in the US. I'm used to seeing people walking around without shoes on their feet. But even in those beach towns, you were required to put shoes on before entering a store. I hate shoes as much as the next person, hell I'll wear thongs in winter, but I still cringe a bit when I see people walking around without shoes in the shops (especially when I'm over an hour away from the beach). 6. Why is C-U-Next-Tuesday used as a term of endearment? I understand that is is not always used endearingly, but it's a pretty common word. I hear it as frequently as I hear "mate" being used. The first time I heard someone referred to as a "bloody c*nt", I quickly looked over thinking a fight was about to break out. To my surprise, they both were laughing and hugging one another. Who woulda thought! **Post Update** I have now learned to love the word C-U-Next-Tuesday (you're welcome mum. I censored my writing just for you and Granny Liz). America, please embrace this. Seriously. When you call your best friend c*nt and someone you've never met before mate, the world is a happier place. I'm sure in time I'll have a better understanding but until then, if someone could help me out that would be wonderful! What are some things that boggle your mind about America or Australia? Have any answers to my questions above; let me know in the comments below! Do shoes hung over a telephone wire mean the same here as they do in the States? Or do people just want to be rebels and sling overly priced shoes over a telephone wire? Why do they call Jumbo Shrimp - Jumbo. I have never seen one I would classify as a Jumbo Shrimp. 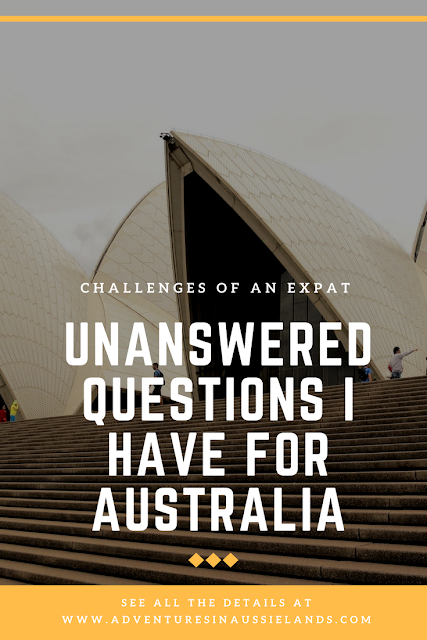 In the US or AUS? In AUS they don't even refer to it as a shrimp. It's a prawn here! In American they constantly change the location of items in a store; just when you are able to easily find what you want everything is rearranged. Do they do this in Australia? Hi, hello, g'day, how are you going? are all commonly used. Howdy is definitely not used here though! I've often wondered about the shoe thing? What does it mean. Back in the U.S. it normally indicates a place or a house where you can buy drugs. I'm not sure if has the same meaning here in Australia though.